A pair of Earth orbiters designed to keep track of the planet's water resources and evolving water cycle is scheduled to launch this month – no earlier than May 22, 2018. The Gravity Recovery and Climate Experiment Follow-On mission, or GRACE-FO, will pick up where its predecessor, GRACE, left off when it completed its 15-year mission in 2017. By measuring changes in Earth’s gravity, the mission will track water movement around the globe, identifying risks such as droughts and floods and revealing how land ice and sea level are evolving. The GRACE-FO mission is a great way to get students asking, and answering, questions about how we know what we know about some of the major components of Earth’s water cycle: ice sheets, glaciers, sea level, and ground-water resources. Explore a collection of standards-aligned lessons for grades K-12 all about our home planet. The GRACE-FO mission, a partnership between NASA and the German Research Centre for Geosciences (GFZ), will measure small variations in Earth’s mass to track how and where water is moving across the planet. This is no easy task, as water can be solid, liquid or gas; it can be in plain sight (as in a lake or glacier); it can be in the atmosphere or hidden underground; and it’s always on the move. But one thing all this water has in common, regardless of what state of matter it is in or where it is located, is mass. Everything that has mass exerts a gravitational force. It is this gravitational force that GRACE-FO measures to track the whereabouts of water on Earth. Most of Earth's gravitational force, more than 99 percent, does not change from one month to the next because it is exerted by Earth’s solid surface and interior. GRACE-FO is sensitive enough to measure the tiny amount that does change – mostly as a result of the movement of water within the Earth system. GRACE-FO works by flying two spacecraft in tandem around Earth – one spacecraft trailing the other at a distance of about 137 miles (220 kilometers). By pointing their microwave ranging instruments at each other, the satellites can measure tiny changes in the distance between them – within one micron (the diameter of a blood cell) – caused by changes in Earth’s gravitational field. Scientists can then use those measurements to create a map of Earth’s global gravitational field and calculate local mass variations. As the forward spacecraft travels over a region that has more or less mass than the surrounding areas, such as a mountain or low valley, the gravitational attraction of that mass will cause the spacecraft to speed up or slow down, slightly increasing or decreasing the relative distance between it and its trailing companion. As a result of this effect, GRACE-FO will be able to track water as it moves into or out of a region, changing the region’s mass and, therefore, its gravity. In fact, the previous GRACE spacecraft measured a weakening gravity field over several years in Central California, enabling an estimate of aquifer depletion, and in Greenland, providing accurate measurements of ice melt over more than 15 years. Tracking changes in our water resources and the water cycle is important for everyone. The water cycle is one of the fundamental processes on Earth that sustains life and shapes our planet, moving water between Earth's oceans, atmosphere and land. Over thousands of years, we have developed our civilizations around that cycle, placing cities and agriculture near rivers and the sea, building reservoirs and canals to bring water to where it is needed, and drilling wells to pump water from the ground. We depend on this cycle for the water resources that we need, and as those resources change, communities and livelihoods are affected. For example, too much water in an area causes dangerous floods that can destroy property, crops and infrastructure. Too little water causes shortages, which require us to reduce how much water we use. GRACE-FO will provide monthly data that will help us study those precious water resources. Changes to Earth’s water over multiple years are an important indicator of how Earth is responding in a changing climate. Monitoring changes in ice sheets and glaciers, surface and underground water storage, the amount of water in large lakes and rivers, as well as changes in sea level and ocean currents, provides a global view of how Earth’s water cycle and energy balance are evolving. As our climate changes and our local water resources shift, we need accurate observations and continuous measurements like those from GRACE and GRACE Follow-On to be able to respond and plan. 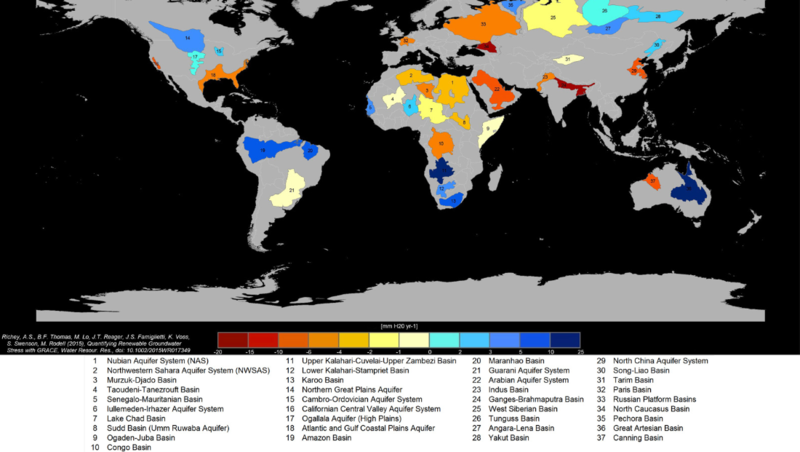 As a result of the GRACE mission, we have a much more accurate picture of how our global water resources are evolving in both the short and long term. GRACE-FO will continue the legacy of GRACE, yielding up-to-date water and surface mass information and allowing us to identify trends over the coming years. 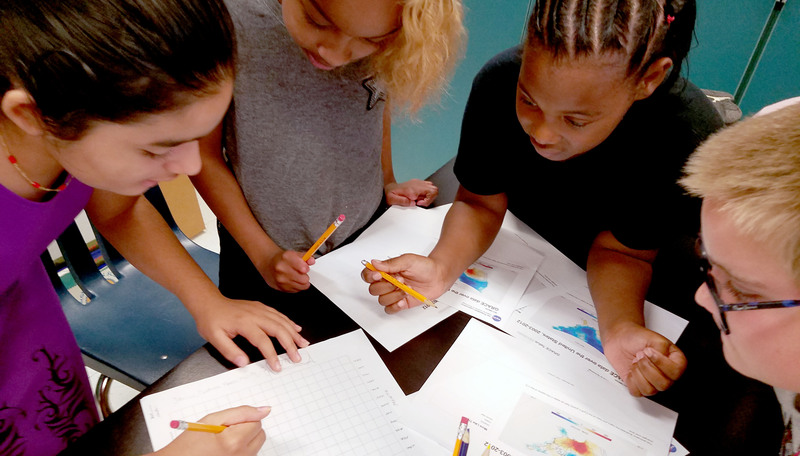 Using real data from NASA’s GRACE satellites, students will track water mass changes in the U.S. 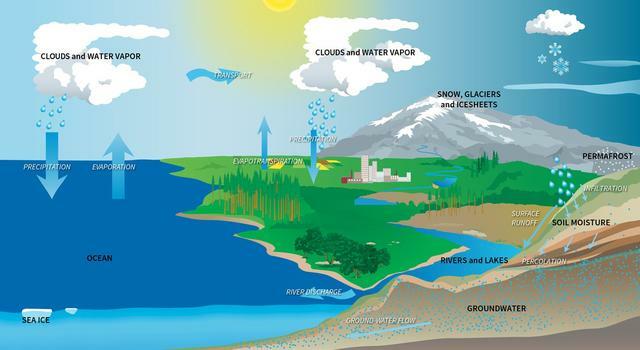 Explore a collection of standards-aligned lessons all about water and the water cycle. Students learn to read, interpret and compare “heat map” representations of Earth science data. 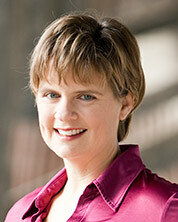 Ota Lutz is a STEM elementary and secondary education specialist at NASA’s Jet Propulsion Laboratory. When she’s not writing new lessons or teaching, she’s probably cooking something delicious, volunteering in the community, or dreaming about where she will travel next. How Many Decimals of Pi Do We Really Need? So You Want to Be an Astronaut? Register today and receive up-to-the-minute e-mail alerts delivered directly to your inbox. A number of RSS readers are available for download free of charge. By clicking on the link below, you may view our "raw" RSS feed. In order to subscribe to an RSS feed, you will need to enter this URL in the RSS reader of your choice. If you are interested in downloading an RSS reader, search for "RSS reader" in your favorite web search tool. Or, if you prefer, you may also be interested in downloading and using RSSAplet, a free Java RSS reader.